Tel Aviv - Hezbollah leader Hassan Nasrallah has invaded the Israeli city of Tel Aviv — as the face of an eye-catching, satirical new recycling campaign. 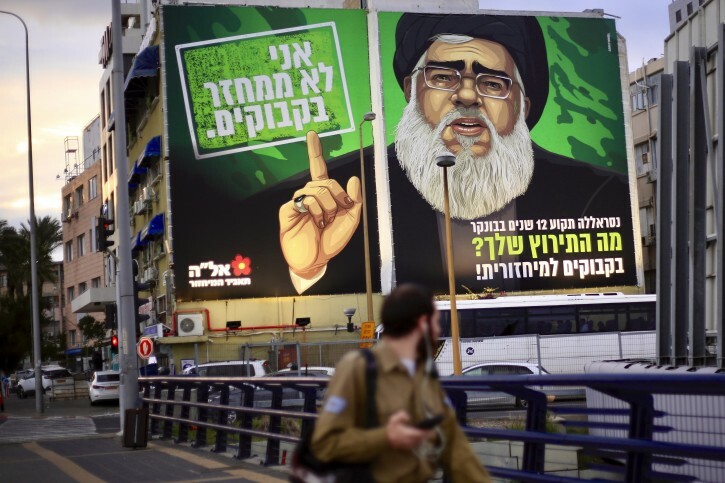 A gigantic poster featuring the Lebanese militant leader overlooking Tel Aviv’s Ayalon highway went up Thursday and encourages Israelis to recycle plastic bottles. ELA, Israel’s recycling company, was not immediately available for comment. Nasrallah has remained in hiding underground, making rare public appearances, since a 2006 war between Hezbollah and Israel. The U.S., EU and Israel consider Hezbollah a terrorist organization. Taste is in the mind of the lipa. I think this is a classy ad - and very effective because it catches one's attention. Right on! I know! Israeli bottled water sure ain't Poland Springs!